A documentary exploring our modern society's obsession with wealth and opulence. Just like ABBA said, "money, money, money, must be funny, in a rich man's world." 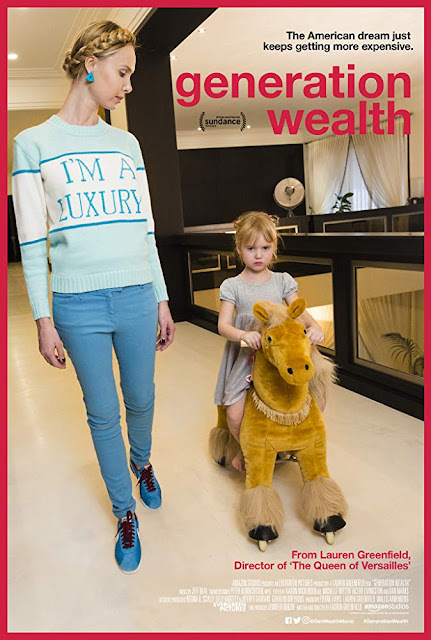 "Generation Wealth" is a documentary written and directed by photographer Lauren Greenfield and explores the sociology of wealth. 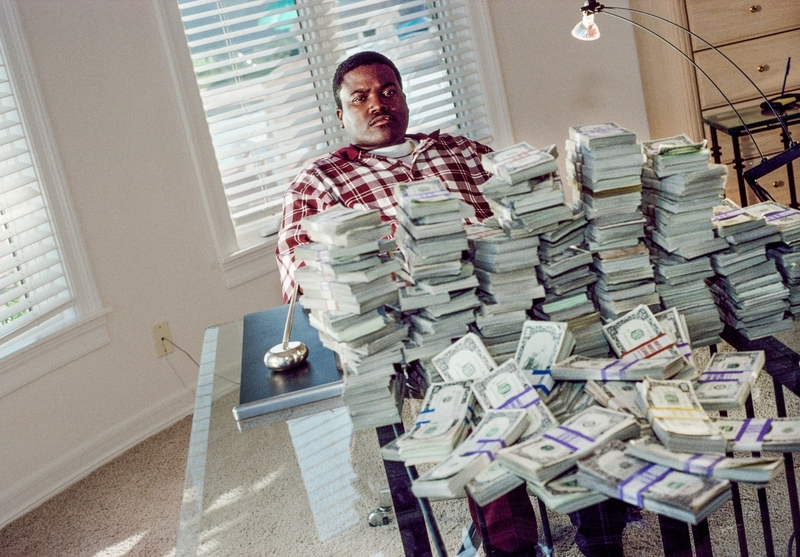 For the last 25 years or so, Greenfield has flown around the world photographing the wealthy and famous. 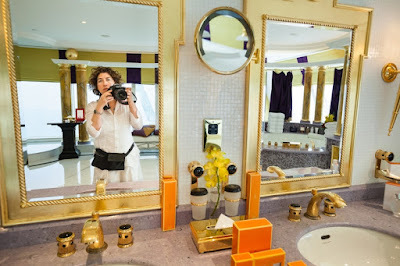 In this film, she conducts interviews with numerous people who were the subjects of her photoshoots and asks their views on money and wealth to see if anything has changed over the years. Greenfield also tries to look at how America and many other parts of the world became so obsessed with gaining and attaining wealth, or even the appearance of it, despite it sometimes being beyond their means. 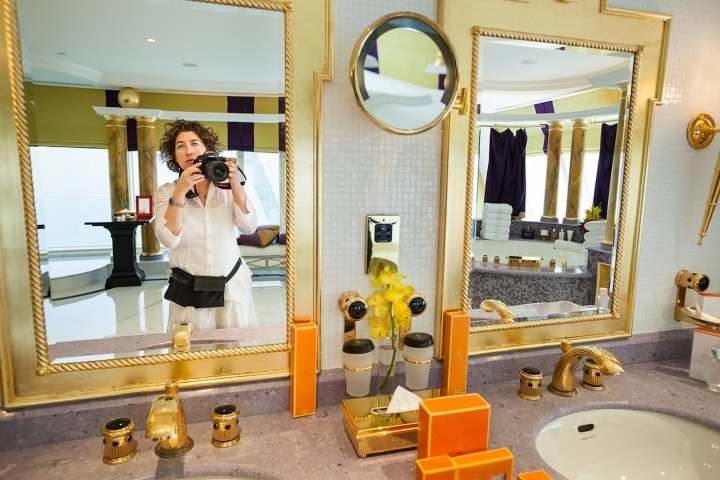 Lauren Greenfield has spent a large portion of her career surrounded by celebrities and wealthy socialites as she filmed, photographed, and documented their excessive lifestyles, putting them on full display for the world to see. Now, after seeing where our culture has gone and how image-obsessed it has become, especially in the age of social media, she reflects on her own work and tries to decipher where this obsession comes from. Greenfield and others attribute it to a few things. First, the removal of the gold standard. Second, Reaganomics and shifting priorities in the 80's that led people to value material objects over hard work and frugality. Finally, the mass media, from our infatuation with television and watching the rich get richer to the social media boom and our ever increasing need to "keep up with the Joneses." If the film had stayed focused on trying to understand what drives the "more, more, more" mentality, it may have been great. 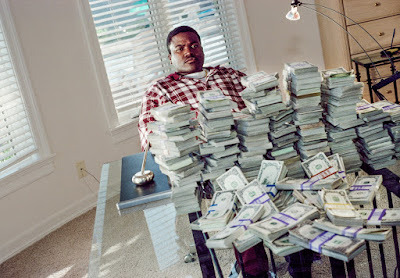 Unfortunately, it starts to become more about Greenfield's subjects trying to reconcile with their kids due to the damages money, fame and fortune have brought them. It also turns into a story about the problems she herself faced with her mother growing up in an upper-middle-class household in the shadow of her parents, who both went to Harvard, problems she believes she inherited. "Generation Wealth" focuses mainly on those who have left a life of excess behind and how they now regret the choices they made during their time on top of the world. That being said, most of the individuals who are interviewed either never fully achieved that lifestyle or were forced out of their wealthiness and didn't leave it willingly. They talk about how true wealth is family and happiness and smiles and rainbows since they now have no money and/or live more middle class means. The story briefly interviews those who are still rich, but Greenfield doesn't focus on them, probably because they don't fit into her the overall narrative, which tells us she was more interested in creating an account that fits her beliefs rather than one that truly explores the subject in an objective way. Though her interviews are interesting, they aren't all that enlightening. We've already heard everything this film has to say. In all honesty, it could have been called "Money Doesn't Buy Happiness," but that would have been a bit too cliche. "Generation Wealth" can feel a bit drawn out at times. It's so long, in fact, that director Laura Greenfield repeats herself occasionally. Though it doesn't offer any new earth-shattering revelations about wealth, this is still a decent documentary, but it's one you can probably wait to see when it inevitably gets released on Amazon Prime.